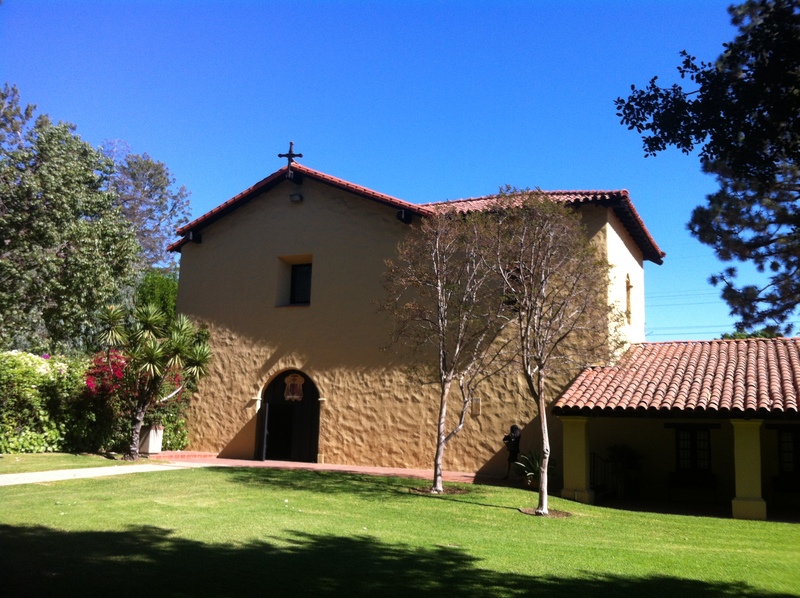 California’s Missions were treasures I didn’t anticipate loving as much as I do.They were an added bonus of living and working in the Golden State. But I’m a collector, and of course I love to collect experiences as much as things. Tell me there’s a “passport” or checklist to follow in order to see all the rustic missions, and I’m hooked. When I was driving back to Oakland last October from L.A., I spotted signs to another mission I hadn’t seen before, 25 miles north of Los Angeles. Fortunately, I had time to stop, and it was a sunny Sunday, perfect for exploring. 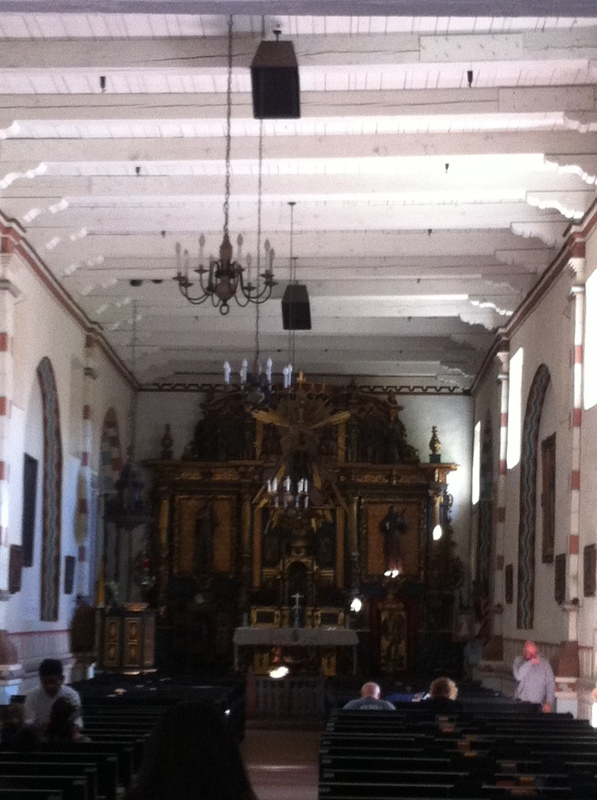 The Sunday services had just concluded, and parishioners were leaving as I pulled in. 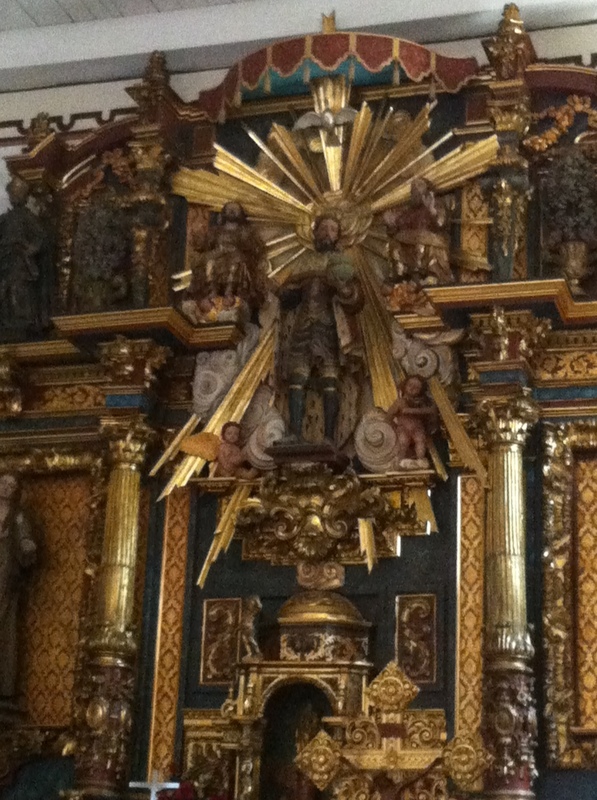 I’m Catholic, too, so I feel no hesitation in stopping in for a dose of Holy Water, and a moment to admire the intricately carved altar. This Mission has a gorgeous courtyard with a flower-shaped fountain, and a natural spring bubbling nearby. 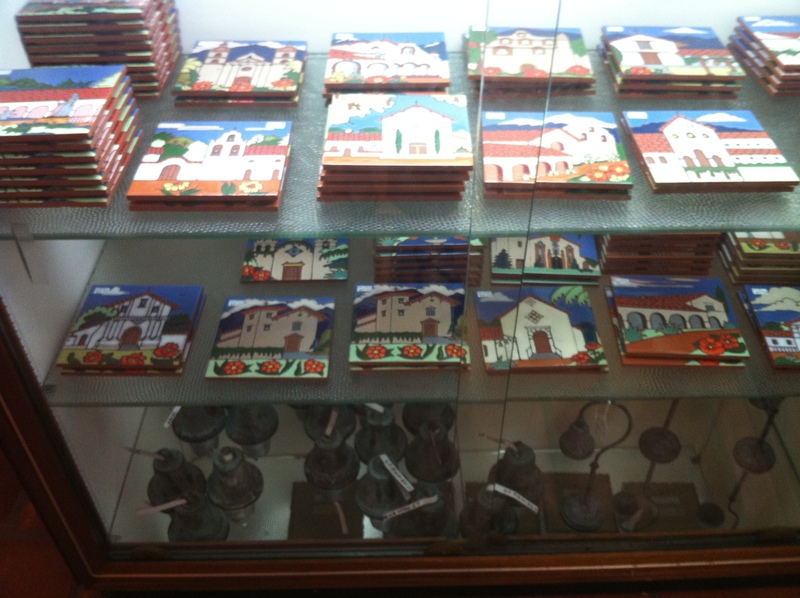 And when the Mission has a Gift Shop too, I must stop in a purchase a commemorative coin-token to add to my book. 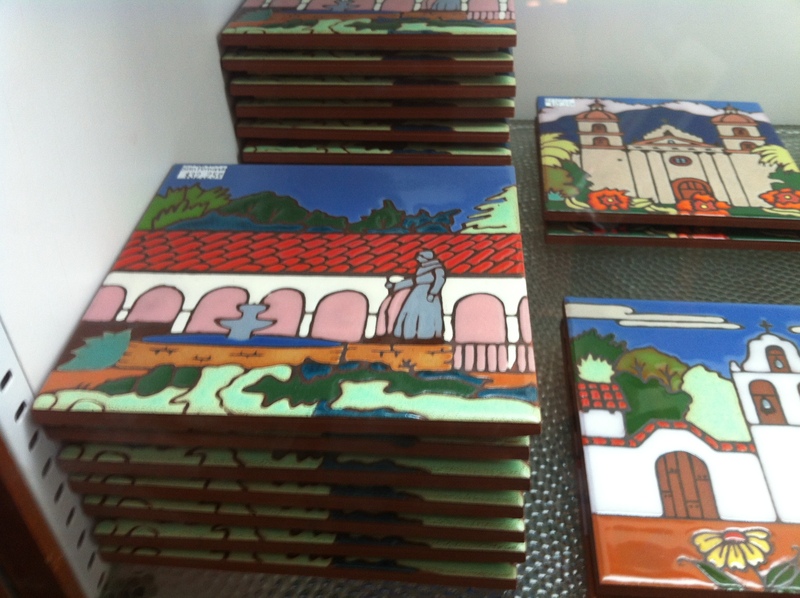 This shop sold tiles of all the California Missions, and of course, I now want to start a collection of these! 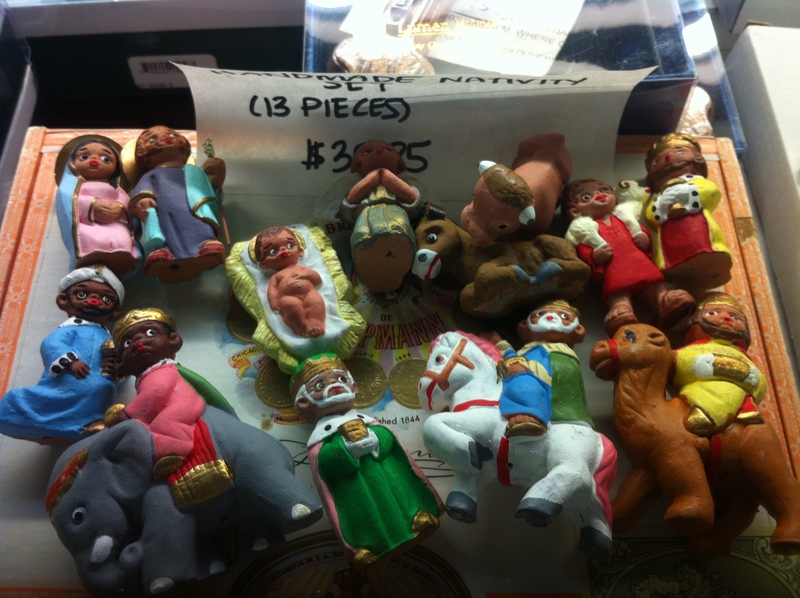 And the best treasure was finding they sold the terracotta nativity figurines my family has collected for 40 years. 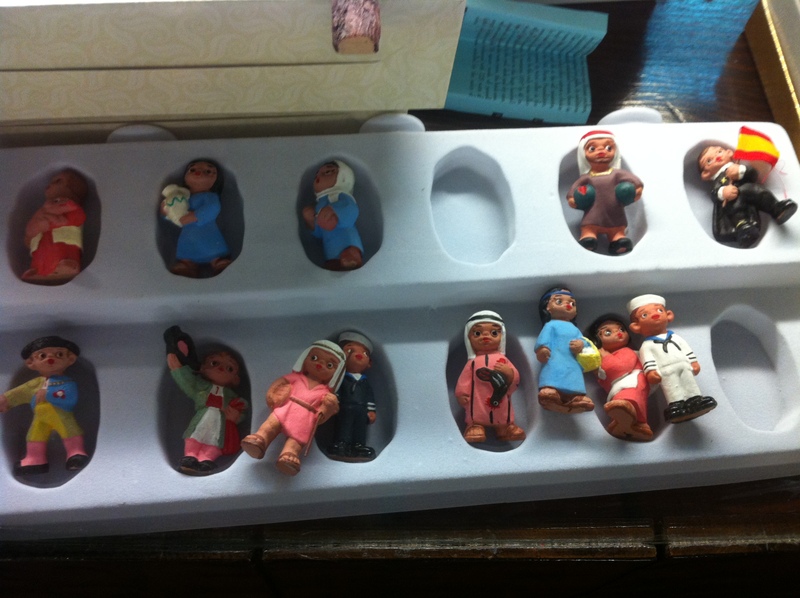 My parents bought them in Germany, and they were a fixture of our Christmas decorations growing up. One year my father made a special paper-mache creche that looked like a white mountain, with a cave for the “no room in the inn” of the Nativity story. I purchased all of these figurines, because I needed my own set, and who knows where in the attic of my parents’ house the originals are tucked away? 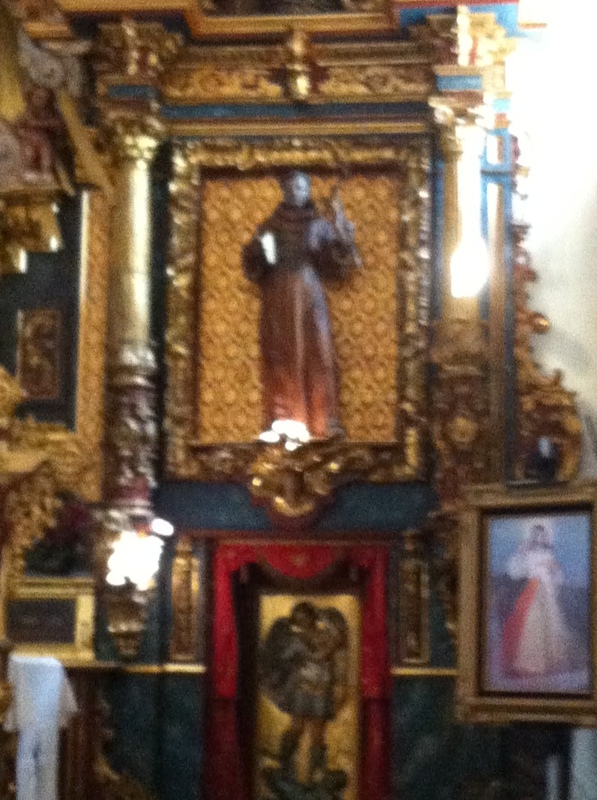 I adore the non-traditional figures that come in this set, in addition to the angel and the shepherd. There’s the Navy man, the matador, the Spaniard (see the red and yellow flag), and the farmer with watermelon! Perhaps Baby Jesus got a melon as an offering, too? I brought them back to Nashville in my backpack, carefully wrapped in tissue and packed in a cigar box. This Nativity set will continue to be treasured for years to come.